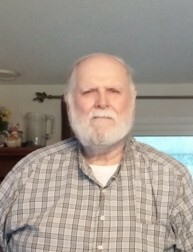 Haley, Robert L., 82 of London formerly of Springfield passed away Sunday, April 7, 2019 in the Dayton VA Hospice. He was born in Lawrenceville, Ohio on September 14, 1936, the son of Robert T. Haley and Ruth F. (Haley) Cromwell. Bob was a 1954 graduate of Springfield High School. He served his country in the US Army. Bob retired form EMRO. He was a former member of the Toastmasters. Bob enjoyed watching Fox News and going camping. He was preceded in death by his parents; sister Marguerite Haley and brother Eric Cromwell. Survivors include his wife Jo Haley; children David (Eva) Haley, Joyce Escobar, Brian (Kathy) Haley, Rick (Carol) Hartman and Ben (Rose) Hartman; brother Richard (Vickie) Cromwell; ten grandchildren and one great-granddaughter. Visitation will be Thursday from 5-7PM in the RICHARDS, RAFF & DUNBAR MEMORIAL HOME. Services to honor Bob will be Friday at 11:00AM in the International Pentecostal Church of Christ with Rev. Richards Blevins officiating. Burial to follow in Rose Hill Burial Park. Expressions of sympathy may be made at www.richardsraffanddunbar.com.